The Plantation Key School PTA is preparing to hold our biggest fundraiser of the 2018-2019 school year. We have been selected as the beneficiary of the “Conch Scramble Charity Golf Tournament,” which will be held on September 28 & 29, 2018. It will be a weekend to remember. Friday night begins with a kick-off party consisting of dancing, live DJ, “refreshments”, and a silent auction. If you do not choose to have a team, join us anyway, kick-off tickets are $35.00. Saturday, golf 9 holes on the water traveling by boat in your best dressed costume, followed by an awards ceremony @ the Ocean View Inn & Sports Bar. Please save the date and plan on attending! We would also like you to consider being a volunteer, sponsor, or donating an item for our silent auction. 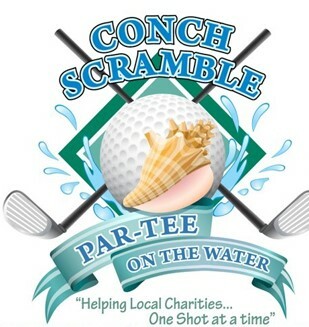 If you would like to VOLUNTEER to work the Conch Scramble, please contact Stephanie Townsend or Bernice Dionne. For more information visit: conchscramble.com . All proceeds from this event go towards “Science on a Sphere” at our brand new PKS building.